Most of the people do not know a lot of facts about strawberries but if you research about them you’ll find it interesting to study. Quite a few of them are quite as enticing as the glans-like sensual image of the fruit itself. The (common) strawberry is a plant grown throughout the world for its fruit. Its fruit is hugely desirable especially in view of its aromatic odors, flavor and its characteristic bright red color. 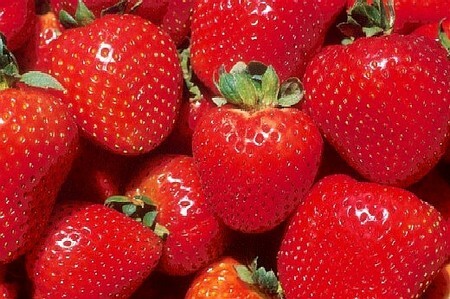 Strawberry is eaten in large quantities, both in fresh or prepared food items such as preserves, viz. ice creams, pies, fruit juice, milk shake, etc. Artificial aroma of strawberry is also being used widely in food products’ industry. By description strawberry is an accessory fruit, i.e. the part containing flesh is derived from the receptacle holding ovaries instead of deriving from ovaries / achenes of the plant. In the past ‘accessory fruits’ were often considered as “false fruits”; however, the term “false” is rarely used by botanists in modern times. The seeds of a strawberry, located outside, are considered the real worth as fruit. These, seed-like structures are termed as “achenes”. Achenes entail content that chiefly consist of both the seed mass and the fruit mass. The real seed, however, is inside, encored by the ovarian wall. That is why the achenes are some times called fruit and the other times the seed — they are both at the same time. A common thought would normally consider the red, fleshy part of the strawberry as fruit while the achenes are considered the seeds. The red, fleshy part of the strawberry fruit is actually the puffy end of its stem called the “Receptacle”. Receptacle is that part of a stem where petals, stamens, carpals and sepals grow / arrange up. This arrangement can also be seen in other common fruits, such as, apples and pineapples. When a fruit displays a lot of extra bits out of ovary, however delicious they may be, the plant bearing them is referred to as “accessory plant”. This is because, for example, as in strawberry’s case, the fruits are actually the achenes —the rest of the strawberry just comes accompanied by them. Reason: Why do the Seeds look outside? In reality there are no seeds out there. The entities seen are actually the fruits called achenes. Technically speaking, the red zone on which the achenes are embedded is a vessel like structure. It is actually the stem or point from where the petals emerge. Such fruits are botanically termed as “aggregate”. Another example of aggregate fruits is raspberry. Normally the seeds are always found within fruits. However, in strawberry’s case in particular, the seed are in the achenes. Usually there are 200 seeds in each one piece. The above are mere facts about strawberries. While you enjoy feasting on this delicious stuff, do spare some time to do some research on it. The exploration may be quite intriguing!